Can you become the ULTIMATE SNAKE HUNTER?! Challenge your Hunting and Collecting skills. Start with searching the colourful fantasy worlds for camouflaged snakes. Once a snake is spotted the real fun begins! Tap, swipe and do everything in your power to capture it. 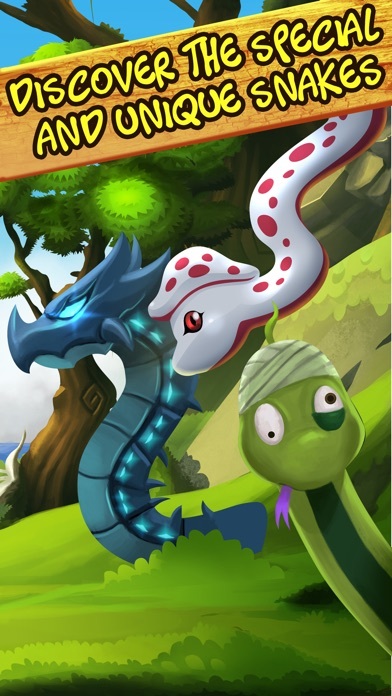 The Snake Hunt battle mode features true arcade action that requires both fast reactions, patience and a clever mind. All in all there are 30 different species to be collected! Snake Hunt is a lot of different genres melted into one unique gaming experience! - Hide & Seek gameplay: Wonderful fantasy environments for you to explore during your journey. - Multiple battle modes: Because one gameplay just isn't enough! Snake Hunt features two epic battle modes. Tap and swipe your way to the the whole snake collection! - Huge collection of snakes: Collect the cutest and most crazy looking snakes ever. Can you discover all the special and unique snakes? For gamers that... enjoy a fast paced action game, just as much as as a slow paced hide and seek game! 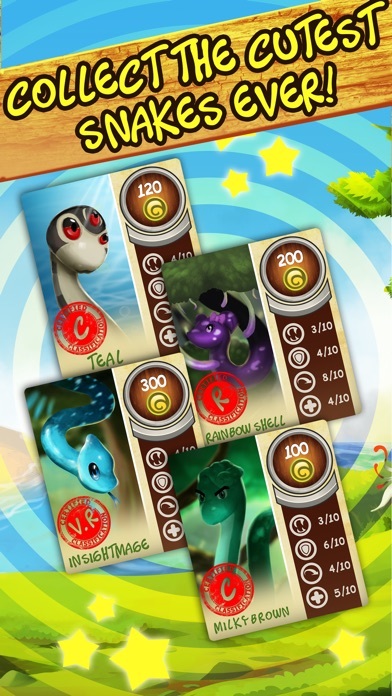 Snake Hunt has got something to offer for everyone. 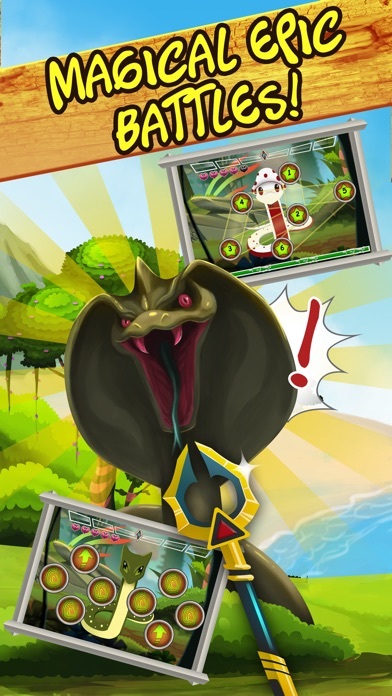 No matter if you prefer the fast action that the two battle modes offers, or if you prefer leisurely scrolling around the fantasy worlds trying to find new species, you for sure will enjoy Snake Hunt! Download SNAKE HUNT for free now! I really enjoy playing this game! Get it! This game is very cool!! 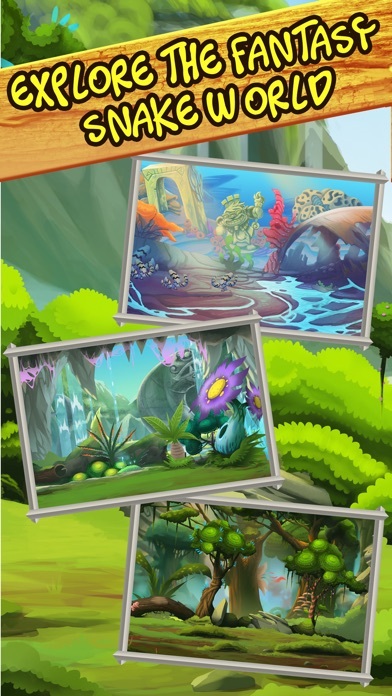 Two battle modes and so much snakes collections to capture! Plus wonderful world so good to be true! Really enjoy Snake Hunt! Sip!!! What can I say went well? That would seriously be the shorter list. It crashed right when I was about to click on the first snake. Once re-opened, it loaded an ad so slow that I taped the screen when the play button showed and I was taken to my browser and then the App Store... I didn't even see the ad! Tried it again and the same thing happened. There is also no music; either that, or the app is messing up... But that's obvious anyway... I would like to actually play this... But I guess that's not going to happened. 10/10 wouldn't try again. There is bizarre when you try to catch a snake especially stage 1(ular Forrest) despite repeated gameplay but they try to make new gameplay and the graphic is top-notch in 2d art. So this game deserve more recognition. this game is really enjoyable. You can become a hunter to find many kind of snake and capture it. But notice that if you click wrong button, snake will bite you. try your best to click exactly and catch the snakes. It will be very wonderful when catch the snake. You should try it out soon. This app is very cute with colorful snakes. You can enjoy this game by the stand of a hunter. game is very easy to play because you just spot the snake and try our best to capture it. The graphic is very excellent so snakes are look very cute that I want to play it all day. thanks. What a great game which has so vivid graphics.We can get so much fun from it as well as to kill time. What an awesome game this is!!! 😎😃👍 really love the artwork and the gameplay! I like the swipe battle mode the best but both of them are fun! And the snakes are just too cool, very cute and fun! 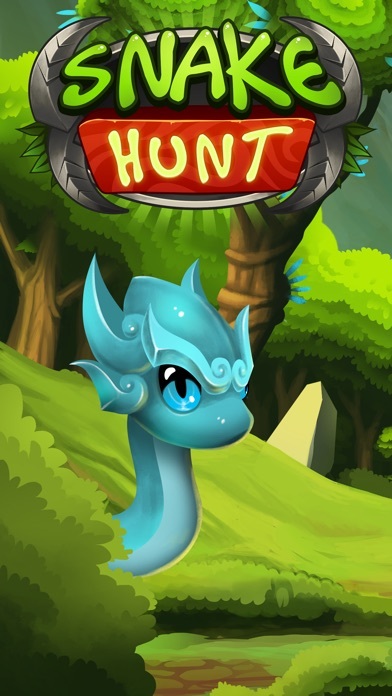 If you like snakes and fun mini games, this is right up your alley.